Award-winning journalist and food writer Patric Kuh explores the restaurant industry—based on the experiences of Lien Ta and Jonathan Whitener’s Here’s Looking at You restaurant in Los Angeles—and reveals essential details for anyone considering a path to this risky profession. Everyone knows that opening a restaurant is a risky business, a venture with an astounding rate of failure. Patrick Kuh’s Becoming a Restaurateur takes readers behind the scenes of one of America’s trendiest new restaurants, revealing how Lien Ta and chef Jonathan Whitener of LA’s Here’s Looking at You managed to beat the odds. With valuable information about what daily life for a professional is like, this is an entertaining, practical guide to what makes a master restaurateur, from writing the business plan to opening night and beyond. Even though it’s a midweek night, there’s a buzzy feel to the dining room at Here’s Looking at You, one of the best restaurants in Los Angeles. If you stepped inside, you’d hear conversations pierced by laughter at the twelve tables and packed bar. You’d see one group of six excitedly pass around handmade bowls of Carolina Gold rice topped with a crisp wafer of parsley-flecked crackling chicken skin. When they taste it, they nod in agreement. It’s that good. When Lien Ta, the restaurateur who launched the restaurant in 2016, moves about the dining room, she notices other things. She wishes one table had moved on to dessert, but their dinner has yet to be cleared. But hey, over there a couple is drinking two of the newly launched cocktails, so those seem to be working. Grabbing a napkin from the bar, she bends to pick up two shishito pepper stems on the floor. Seeing a man in a loosened tie, a semiregular who’s joined a larger group, she waves, then greets him with a warm smile. And by name. A good restaurant should feel as welcoming as someone’s home. After all, restaurateurs see you as guests, not customers. Except a home isn’t a business, with all the practical requirements of overhead and wages and reports. But Lien, like many other restaurateurs, knows that when the math of an evening has been calculated, what guests will remember most is how a place made them feel. Which is why her main focus is setting the right tone from the start. When the phone rings? She answers with enthusiasm. When a guest emails with a special event request to buy out the entire restaurant? She replies in such a way that propels them forward with their plans. And she has clear ideas of how she wants the guests greeted. Having checked the dining room, she moves quickly to join the new hostess at the narrow wood stand immediately inside the door. Lien, for example, doesn’t want her hostesses greeting single diners at her restaurant with the phrase “Just one?” She feels it sounds judgy. On a busy night, she’d rather book a 6 p.m. than a 6:30 p.m. reservation because she’ll get the table back for a second turn at 8 p.m. She sets the time for slots herself—an hour and forty-five minutes for two, two hours for four. The online reservation system will never allow parties to overlap; it will always play it safe. Lien takes pains to make sure each guest feels welcomed at the start of the meal and relaxed through its conclusion. But a restaurateur’s mission is to fill seats. This is LA; people will no-show. Because the Wiltern theater, a landmark sea-foam-green art deco tower, is nearby, some folks will actually arrive to their 6 p.m. reservation on time and eat quickly to make the show, so the table is free when the next group arrives at 8 p.m. But when that doesn’t happen, the time for the next party’s wait—referred to as the “quote time”—has to be delivered in an upbeat, positive way that makes people resolve a few minutes’ wait is not a big deal. When things really start to drag, there’s always the option of offering a drink on the house. Over and over again, Lien must balance guests’ experiences with her financial reality. That kind of constant balancing is what it takes to succeed in this demanding career. Here’s the reality: It’s high-risk. It’s long hours. It can be bureaucratic hell. But at the end of the day, it is also deeply satisfying. No matter whether you get into the industry through a part-time summer job or with a degree in hospitality from a prestigious university, make sure that the business is right for you and that you’re right for it. Each staff member, for example, has a different (and highly specific) set of responsibilities, so it’s no surprise that when Lien trains a new hostess, she stands right beside her. The young woman at the stand tonight is on her third shift and has been doing well. She did not say “Just one?” to the solitary diner who happened in after exploring the neighborhood. Seeing another party was lingering, the hostess extended their stay—which meant that they were still seated when the next party tumbled out of an Uber in high spirits. Lien flashed a welcoming smile but stepped back to watch the tone, engagement, and sense of welcome the hostess extended. And she allowed herself a smile when the young woman quickly changed the seating chart, getting that party another table—a better table, in fact—that had opened up moments earlier. Located one block north of Wilshire Boulevard, Here’s Looking at You—or HLAY, as those who work there pronounce it—occupies the ground floor of a building on a corner of 6th Street just northeast of Wilshire and Western, two of LA’s busier thoroughfares and an intersection that serves as the heart of what has become America’s largest Koreatown. The restaurant sits among the neighborhood’s soju joints, bulgogi halls, Paris-themed patisseries, and all-night steam saunas. It shares the ground floor with a barber, a sushi spot, and a modest general store. Above them is a second floor of offices. Early mixed-use? Hard to tell. Though far more modest than the nearby Wiltern theater, the structure shares a look with the classic building. The zigzag corners and moldings allude to more than embody the art deco style that was popular in LA in the 1930s. Over the years this same spot housed a locksmith with a key-cutting booth, a beauty parlor, and a psychic reader who left behind what is now HLAY’s blue neon sign. The restaurant’s name—inspired by the toast and a card in Lien’s stationery collection—is painted nearby on the glass window in flowing gold script. Lien and her business partner, chef Jonathan Whitener, opened HLAY in July of 2016. It has since gone on to represent one of the high points of the city’s unaffected and wide-ranging dining style. Having been, respectively, the manager and chef of Animal, the Fairfax Avenue storefront that was a breakthrough success with its gleefully over-the-top flavors, Lien and Jonathan had instant name recognition in LA’s food scene. But it also could have gone the wrong way. New restaurants tend to follow one of two possible patterns: They come out of the gate with every detail thought out, every interaction discussed in preshift and executed in service, the message totally focused—or, in hindsight, their early version was no more than a draft of what the restaurant will become. They need what the neighborhood and its customers bring to define themselves. Three years after its opening, HLAY is the second kind of restaurant, and it is stronger for it. The assembled midcentury Scandinavian-style furniture, the Morrissey portrait, the minimal look that early on felt almost reserved turns out to have been just right for a venture in an evolving neighborhood, where bone-broth halls and skater-gear stores were starting to coexist. Wearing their own clothes—a mix of floral patterns, jeans, and heavy cotton aprons—the staff looks approachable, warm, and, well, neighborly. Even having Jonathan’s collection of cookbooks ranged in modular bookshelves above the bar and by the entrance kind of makes sense. You never know when you might want to take one down if the conversation turns to Paul Bocuse, the guardian of haute cuisine, or Michel Bras, the descendant who gave it a foraged overlay. Mexican-American on his mother’s side, German-American on his father’s, and a child of suburban Orange County, Jonathan is able to draw from a slew of cultures and frames them in hard-won technique. “There are always signals in Jonathan’s cooking,” Lien says. Which means the spicy seasoning on the frog’s legs may be a nod to the salt-and-pepper pork chops of a Chinese takeout menu, the dab of cool mayo on the tapioca fritters a wink to a Brazilian pairing he read about. Rigorous yet inviting, the restaurant soon started gathering accolades from online authorities and the national press. Los Angeles magazine named it one of its top ten new openings. Jonathan Gold, the longtime Los Angeles Times critic, praised the cognac swizzle served at the bar and the way the radish butter melted over the thirty-day dry-aged Holstein rib eye. More recently, a New York Times article on LA’s evolving restaurant scene featured a large exterior photo of HLAY. “A reminder of the things that have always made this city so dynamic,” noted Food & Wine in 2017 when placing the restaurant on its top ten national openings list. At certain moments Lien has the ability both to be in total command of the restaurant’s costs and to appear somewhat surprised by them. Financial smarts are central to her job, a skill that she has proven time and again. She took the lead in raising the $750,000 initially invested in the restaurant. She cut the checks for the visits to the lumberyard. And the tile store. And to Harry, the chief barman, and the waiter, and the new hostess. And to the California Department of Alcoholic Beverage Control. She and Jonathan pay back their investors regularly, and they’re even in the beginning stages of raising money for a second restaurant. From this vantage point, the difficulties of Lien’s chosen profession momentarily come into focus. For all the anxiety that often pulses around a hostess stand on a busy night, crowded dining rooms can also be places of deep relaxation. Restaurants are the place we chose to impress, to celebrate, to reconnect, and, sometimes, to break up. Because of that, there are moments that almost glow with meaning. Lit by a centerpiece candle, the grandchild’s head rests against her grandparent’s shoulder, hands hold each other across a table, old friends lean in for another retelling of the infamous anecdote, the deal has been clinched, the declaration made, the happy birthday sung. These are the golden moments of restaurants. But they are made possible by budgets and staff training and more. It can seem like a strange thing, a restaurant, a riddle almost, a space that generates priceless memories and necessary income. A few taps of the keys of her laptop at any moment would convert figures for the period, week, night, shift, and even the hour into columns, charts, or spreadsheets. Lien need only turn to the point-of-sale monitor near the bar, where servers punch in orders, to access the constantly changing sales figures for this evening. But in the restaurant business, metrics only say so much. For all these certainties, uncertainty is the order of the day; according to a 2005 Ohio State University study, 59 percent of restaurants fail within three years. A few nights earlier, Lien attended a restaurant promotional event in a downtown loft space, and after handing out hundreds of food samples, she’d come away slightly shaken. “We live in a cocoon,” she’d said. “Because people come to our restaurant, we think we’re known. But none of these people have heard of us. We still haven’t reached them.” Now, scanning the room, she is in much the same kind of mood. Come tomorrow morning she’ll be able to tell exactly how much business the bar and kitchen did, but not whether the guests who ordered enjoyed the experience. Or whether they’ll be back. 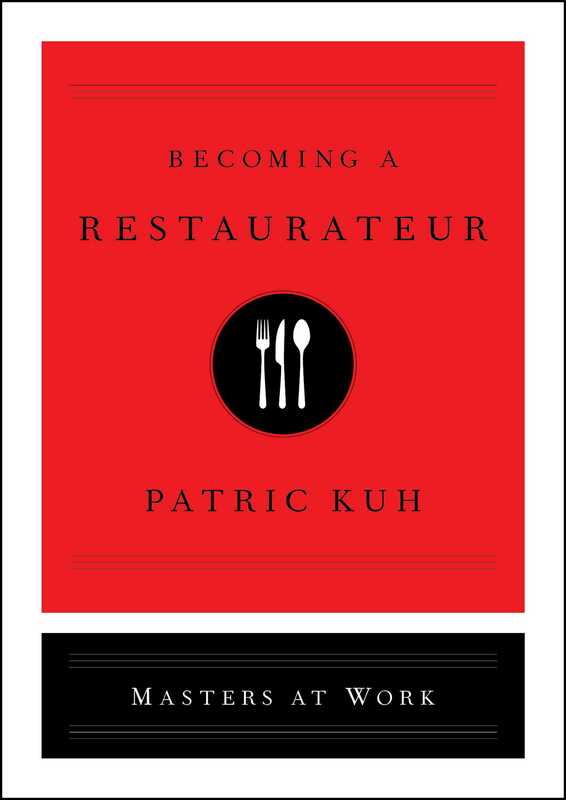 Patric Kuh, who started his career cooking in restaurants, is the author of The Last Days of Haute Cuisine, a history of the American restaurant business which won the James Beard Foundation’s award for writing on food. 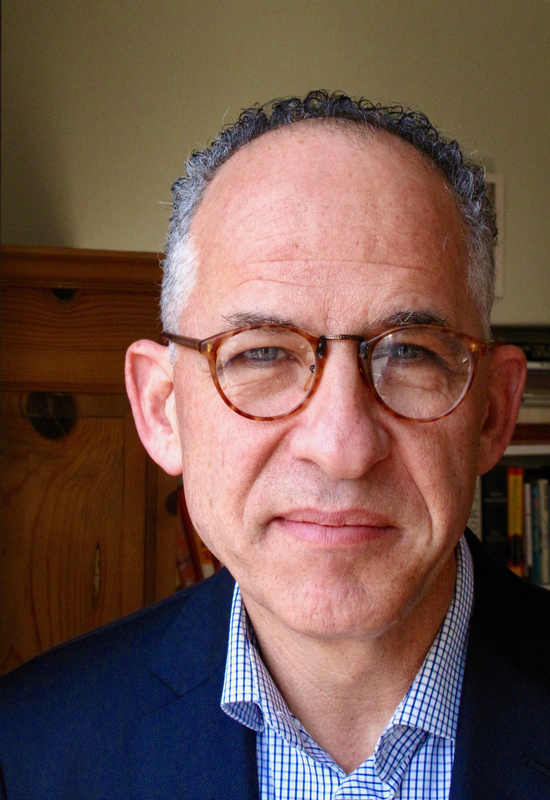 He was Los Angeles Magazine’s restaurant critic from 2000-2017, and the recipient of both the James Beard Award for best restaurant critic in America and the Craig Claiborne Distinguished Restaurant Review Award in 2011. Kuh has been published in Gourmet, Bon Appetit, Food & Wine, and Saveur.